I've loved making my own cleaning products so much that I decided to branch into personal care products. Now I'll never run out of things to blog about. Lucky you! he he. Homemade deodorant is first on the list. I've used deodorant instead of antiperspirant on and off for years now to avoid aluminum. There isn't any conclusive evidence that aluminum in antiperspirant causes breast cancer or Alzheimer's, but I still like to avoid it. The only problem was the store-bought deodorant just wasn't cutting it. Most lately I've been using Tom's of Maine deodorant, but the only thing I could count on was smelling by the end of the day. 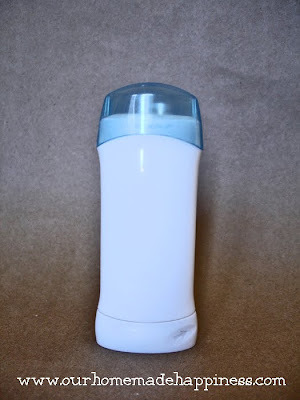 So when I came across this recipe for homemade deodorant, I thought why not? I've been using this recipe for a month and a half now and (drumroll, please). . . it really works! I'm AMAZED at how well it works. My husband with his super nose hasn't complained once. As if being smell-free wasn't its own reward, there's another perk. I don't have to worry about yellow underarm stains from antiperspirant on my white shirts anymore. Woot woot! Mix the ingredients together with a fork until well combined. Coconut Oil: Coconut oil is antibacterial, antiviral and antifungal so it's a perfect ingredient for deodorant. I bought organic, unrefined, cold-pressed, extra virgin coconut oil for $8.99/15 fl oz in the cooking oil section of my local health food store, but you can also find it on Amazon or Mountain Rose Herbs. The unrefined, cold-pressed, extra virgin part means more nutrients are going to be left in it to benefit your skin. The arrowroot powder/cornstarch helps absorb moisture. Arrowroot Powder/Corn Starch: I used arrowroot powder instead of corn starch. I read some comments from people saying they thought corn starch works better, but arrowroot powder is more pure and less irritating. I think either option is fine. I found Bob's Mill arrowroot flour in the baking isle for $5.99/20 oz at my local health food store, but you can also find it on Amazon or Mountain Rose Herbs. 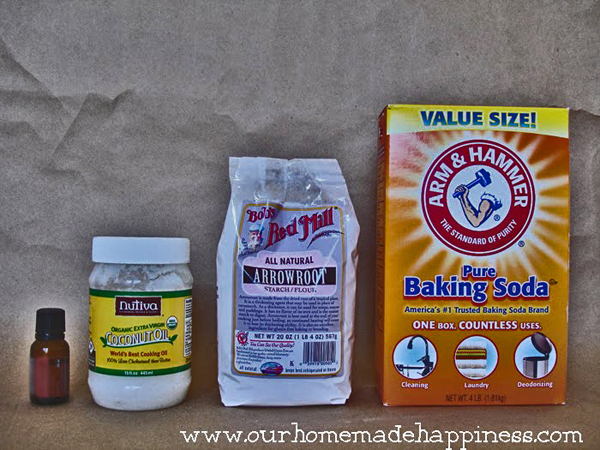 Baking Soda: Baking soda helps keep bacteria from growing. 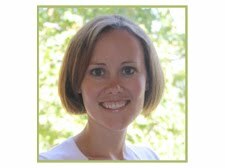 Essential Oils: Essential oils aren't necessary, but they add extra antimicrobial action. Some of the best choices are tea tree, lavender, and rosemary essential oils. You can find essential oils at your local health food store, Amazon, or Moutain Rose Herbs. I put the batch inside an old clean deodorant container, which works pretty well. Warning, coconut oil melts at 76 degrees! So if you use a deodorant container and your house gets over 76 degrees, you are going to have a big ol' leaky mess. Keeping it in a glass or plastic container might be a better option and just use your fingers to apply. Or you could keep it in the fridge. Not bad. Usually that much antiperspirant would cost me about $3. A natural deodorant at the health food store would cost about $5. Here's to saving money and smelling great all day long! If you use a commercial "natural" deodorant, does it work? 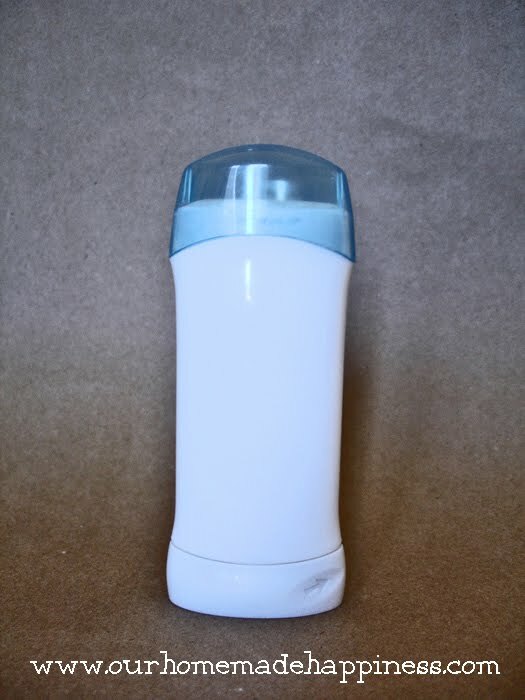 Would you be willing to make the switch to homemade deodorant or is it too much trouble? I tried a natural one like Tom's and it did not work at all, and we threw it away after like one day. I will be trying this! But our house is hot, so I'll have to figure that out the container side too. But I think I have all the ingredients! That's the hardest part, right? Gathering the ingredients is definitely the hardest part. You could try putting it in an old deodorant container and keeping it in the fridge. Good luck! I make mine almost the same but add some bees wax. I still keep it in a contianer though because I live in hot climate. The wax keeps it from turing liquid in the summer. How much beeswax do you add? This sounds so easy! I'll have to give it a try. Thanks for the tip. Rubbing (isopropyl) is actually not good for you. The beauty of this recipe (I use a similar one but with the same ingredients) is that it allows you to sweat, but keeps bacteria from growing and causing odor. I can't ever tell my clean clothes from the dirty ones (well....not unless I work in the garden or the chicken pen) except for the dirt.....I never smell. I have used this for about 8 years now and I will never go back. I make it up and put it in a small container that I keep in the bathroom with all my other homemade toiletries. I just use it as a creme deodorant. Super satisfied! I use alcohol with just a drop of lavender oil (because I like the smell, even though it doesn't last long), but I have been buying Everclear instead of isopropyl alcohol. It has the highest percentage of alcohol I could find (95%, I think). The higher the percentage, the better it works. I put the Everclear/lavender oil in an old spray bottle and it works great! I've been using this recipe for about 3 months now, and love it! I was really worried the first time I used it and went for a run - I kept sniffing myself, but could not smell a thing. I've been doing yard work in some hot, humid weather, and still no stink. Sure, I still sweat, but I can live with that to not be using yucky chemicals and having no stinky stink under my arms! Just curious, since it has coconut oil, does it mess up clothes at all? It hasn't stained any of my clothes so far and I've been using it for four months. Interesting... I am intrigued by making everyday things from scratch. I like that you used an emptied out deodorant container to store your homemade version. 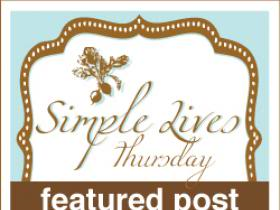 I love your blog ~ it's so pretty and so are you! I love making this type of deo. I use cornstarch and generally skip the essential oil. Since my house in Costa Rica is hot, hot, hot, I keep mine in a small metal Nivea Creme tin and apply with my fingers. Baby food jars are also great vessels for holding the final product. I can't wait to check out your other recipes here! 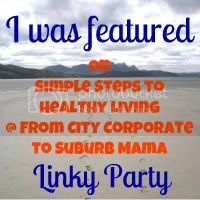 Kendra, I'd love for you to link this up with Steps to Healthy Living today on my blog! I am going to have to try this since many of the alum free varieties in the stoers tend to make my underarms break out. Thanks for sharing on Tout It Tuesday! Hope to see you next week. Oh coool!!!! I never even THOUGHT of homemade deodorant but this is fantastic!!! DEF something Id be up for trying! The savings is fantastic! Thank you so much for sharing with us at Healthy 2Day Wednesdays. hope to see you again soon. Blessings! I've got to try this because I use natural deodorant that just isn't cutting it. Like you said, you can count on smelling by the end of the day! Thanks so much for sharing this! This is next on my to-do list! Thanks for the recipe. I have begun using Tom's Lavender deodorant. I was told recently I smell like air freshener. :) It seems to irritate my skin during hot weather. I am anxious to try out your recipe. Hi! Visiting from a Happy Hour Projects. Wow! I must live under a rock because I didnt know you could make your own deodorant. If I get adventurous Ill give this a try.. Im so use to my Dove! 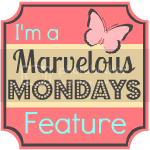 I have a friend that would love your blog too!!! passing it on! I'm looking forward to trying this, it's a bit simpler than some of the other deo recipes I've seen. I have tried Arm & Hammer naturals, and it worked fine until Summer came and I guess I'm sweating more, it can't keep up! I found some Tom's of Maine on clearance at Kroger for $1.39, so I grabbed a couple, and so far it works great! That's a great deal you found! For me, Tom's worked great at first but then it stopped working after awhile. Hopefully, you'll have better success. :) Thanks for stopping by! As soon as I read this recipe, I had to make it. I just mixed up a batch (which was SO EASY) and I can't wait to test it out tomorrow. Thanks so much for sharing! You have a great website!!! 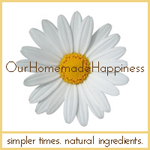 I love making my own homemade cleaners and skin care products and you have given me some great recipes!! THANK YOU! i make my own cleaners, and its neat to see that more people are doing this. plus i just tried an almost exact recipe for homemade deodorant and i FINALLY do not smell anymore. i used Toms forever, but constantly had to change the kind all the time. i made my own two days ago and i spent the first day at legoland all day, even went under water with it, and i came home and no smell at all. i think it was the first time in years my husband didnt even say a word, i actually had to ask him and he couldnt smell anything! thanks for a great site, will now have one more i have to follow!!! About how many drops of essential oil would you put into a batch?? I love Doterra and use them almost every day. Have never tried homemade deodorant but have used Toms which never really worked for me, and also Bubble and Bee Organic which I really love but have found it to be way expensive. 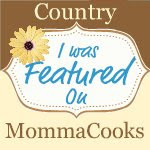 Thanks for sharing...love your blog!! Thank you Shauna! I just use 5-10 drops of essential oil. Thank you for this recipe, I love it!! I have been using it for over four months and it works great. I have noticed a slight discoloration (slightly brown) under my arms and was wondering what could be causing it. I dont want to go back to commercial deodorant. Your skin might be sensitive to the baking soda or the essential oils. Try adding less baking soda and/or using different essential oils. I'm excited to try this recipe, but I'm wondering if I'll end up smelling like a fresh baked cookie all day long! Does the coconut smell from the oil dissipate after you put it on and wear it for a little while? The smell dissipates. I never notice a coconut smell. The shelf life of your batch of deodorant would be the same as the shortest shelf life of your ingredients that you use. The shelf life of cornstarch, arrowroot powder, baking soda, and coconut oil are all very long if stored in a dark cool dry place. Pure essential oils don't go rancid. They just lose potency over time. Just wanted to let you know that I've made a batch on friday and trial it out myself and with my teenager son and surprisingly, i still can't smell our odour,and now its our 3rd day :). But it melted in the summer heat, can I keep it in the fridge. I'm glad it's working for you! Yes, you can keep it in the fridge. So glad I stumbled upon this website. I have been trying to avoid the aluminum deodorants and after using the Toms and various other brands, I am so tired of being "smelly". I knew there had to be some other alternative than to cave in and go back to the deodorants on the market with aluminum. I also am intrigued with the homemade facial creams and other products that I can start making for personal and home use. I have bookmarked this website and am excited about trying out many of your ideas. Thanks for your research for people like me. I use "Pit Powder" by Muddy H2O. It's about $7 a shaker (it's a powder) and lasts me over six months. I love it.